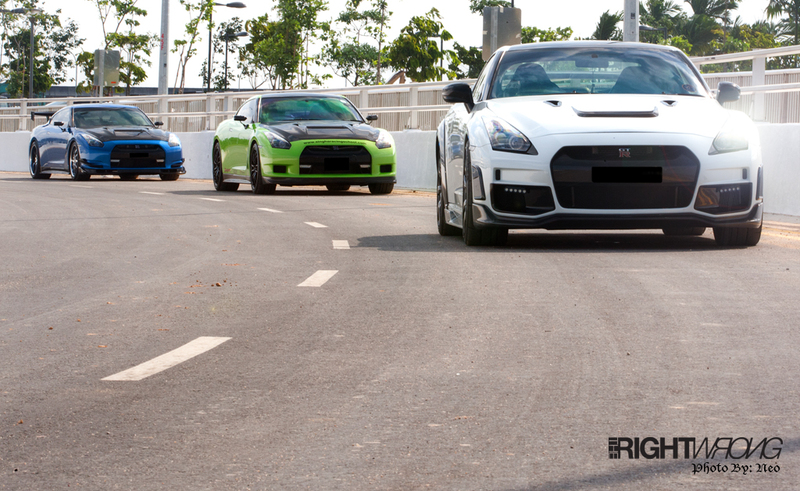 The R35 GT-R is a dream to many and yet it has proven itself to be the ideal weapon for any boyracer. Released in late 2007, it surpassed its predecessor, the R34 Skyline. 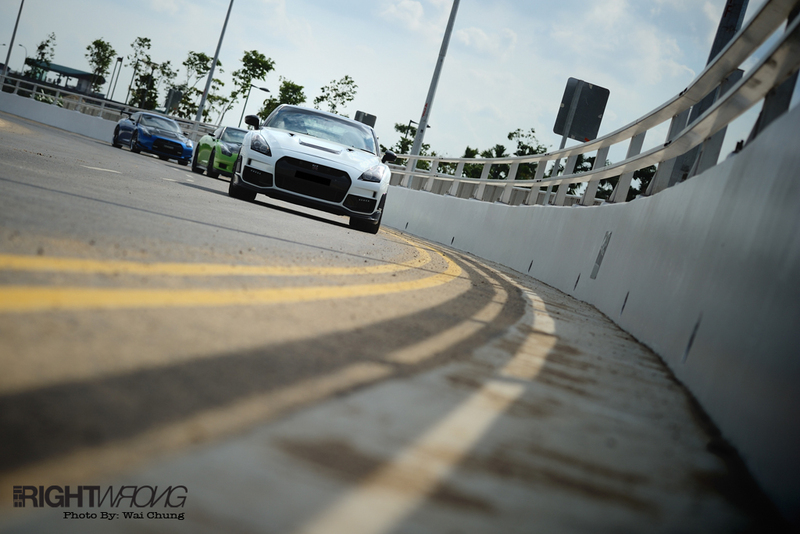 At the Top Gear test track, it achieved a blistering 1:19.7 and the new upcoming 2012 model shaving nearly a good 2 seconds off! Unlike previous models of the GT-Rs having a straight-6 engine layout, the current V6 VR38DETT certainly packs a punch retaining the nickname of Godzilla. 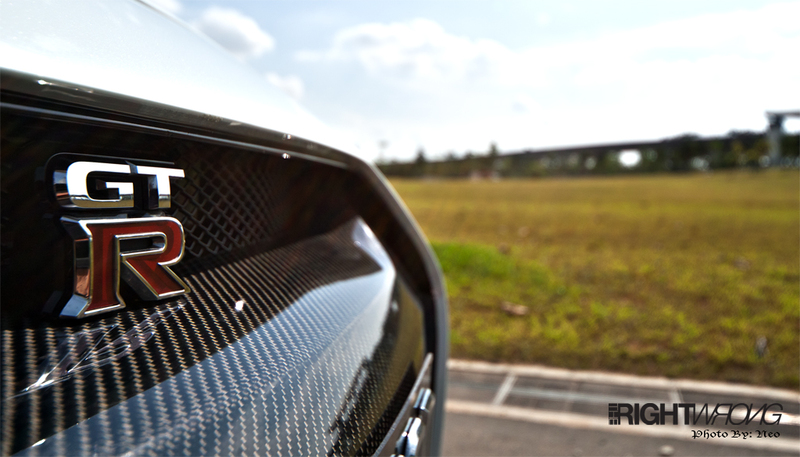 Those 3 letters, symbolizes a mark of Japanese perfection. All 3 cars featured here have different styling aesthetics, each achieving a unique look unlike no other. Picture 3 Godzillas all sharing the same heart and wearing different masks, pick your choice! 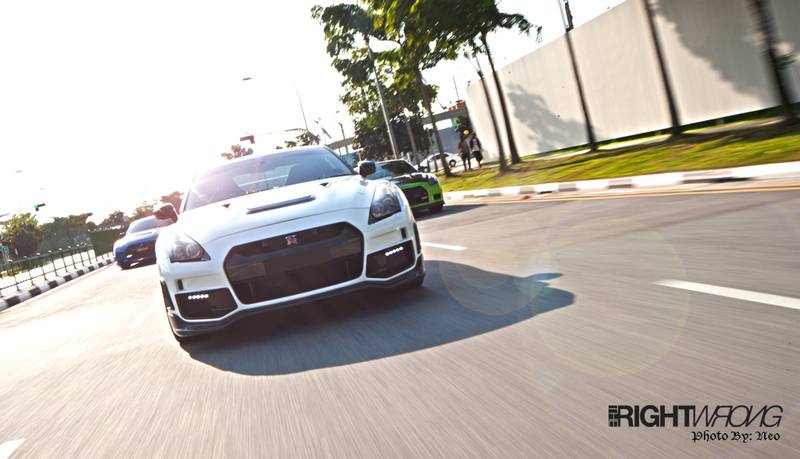 The owners of these R35 GT-Rs met up with therightwrong.net crew on a scorching afternoon at a petrol station and there were curious onlookers everywhere. It’s rather rare to see such supercars in harmony in addition of their exhaust notes singing like symphony. We congregated and drove these beauties up the driveway. The weirdly shaped benches over at the driveway seemed like a stage for these cars, sort of a show and tell session. 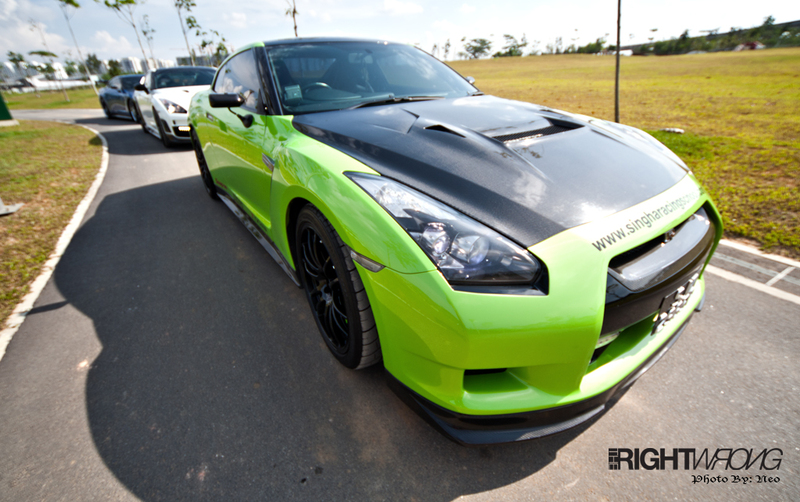 Looking sleek is this R35 GT-R with simple exterior additions like the Craftsquare mirrors, carbon fibre hood and boot but its the green colour shouting for attention. The colour coded calipers also makes you take a second look. 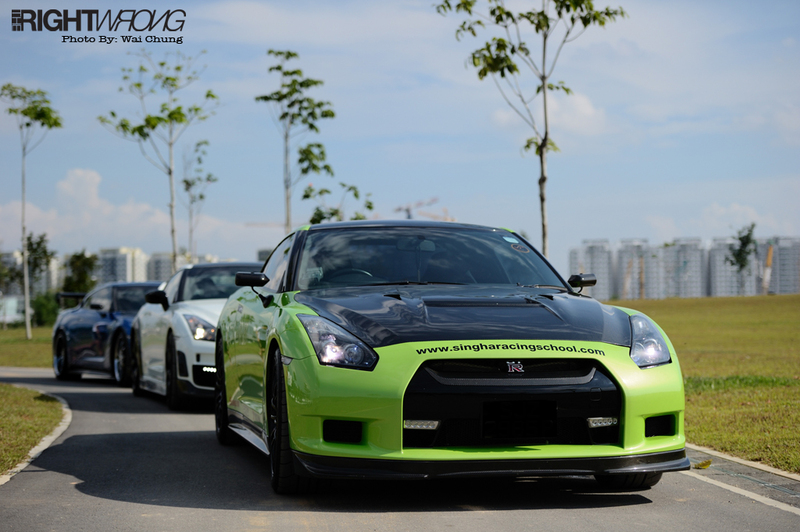 With the R35 GT-R out for a few years now, Tommy Kaira came out with their styling kit for the GTR. 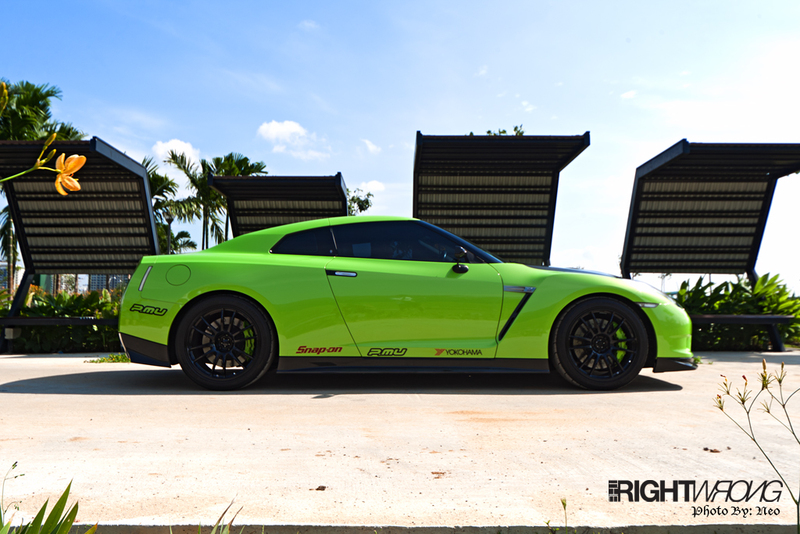 If you ask me, the body kit just made the Godzilla more boss. It takes more than just pure love for the things you own in life that you put in effort and energy, such as this owner mixing his own shade of blue like no other. Having all 3 eye candies lined up makes your eyes scream for more. 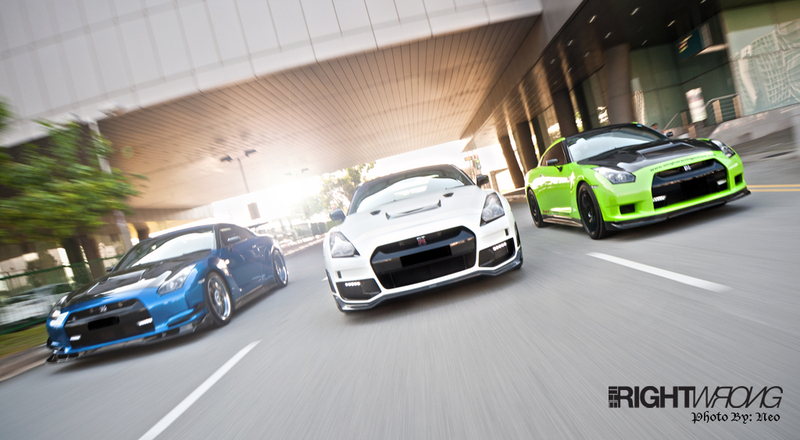 With 3 cars to admire, we wondered who would take the lead. It’s hard to decide really and we had the chance to drive all of them on that day. Each had it’s own unique character and our butts were glued to the bucket seats not because of the way it was meant to be; we begged for another second to drive them. No doubt that all of them could leave you biting the dust. Hey wait up! We want to take a closer look of what is inside? It’s easy to miss out details about the cars, each feeding our eyes’ appetite. These 3 enthusiasts are more concerned about aesthetics and driveability, but still remain tight lipped about plans in the future. 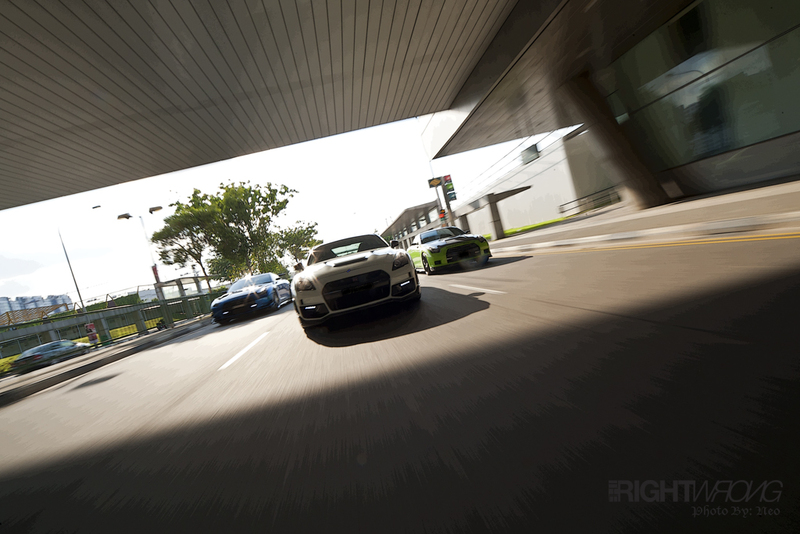 While taking the shots on the roads, we had to go many rounds before finding the perfect moment where surrounding cars (that also wanted to get a better look) moved aside. The owners’ passion for a well executed build distinguished them a cut above the rest. 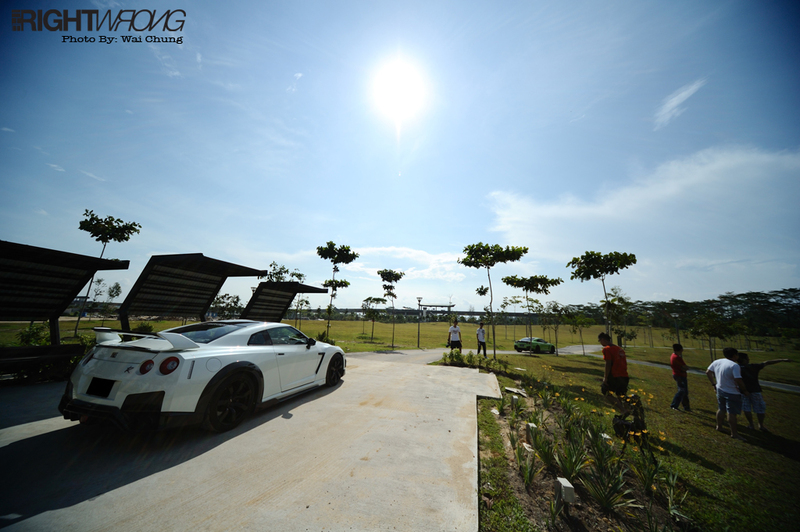 Stay tuned for exclusive updates and more detailed individual feature of these R35 GT-Rs by joining our Facebook page HERE.